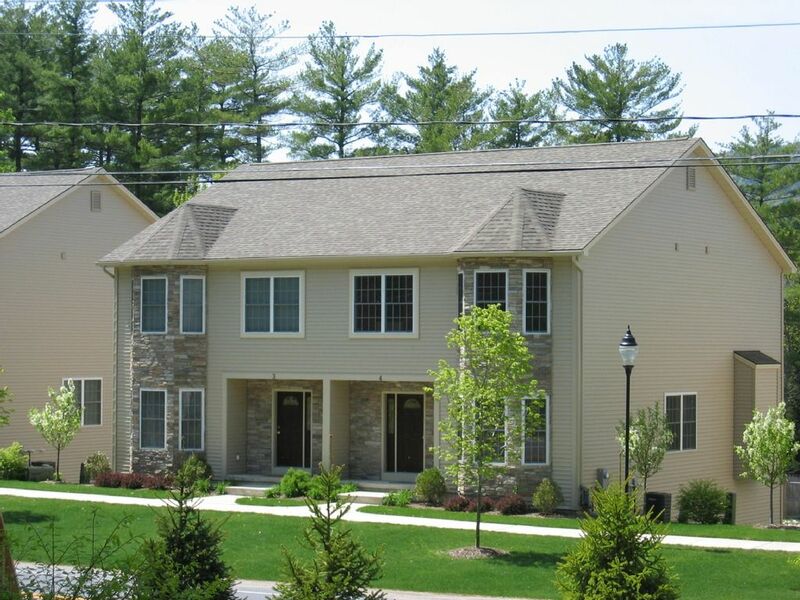 Enjoy all the fun and beauty Lake George in the Adirondacks has to offer at our new construction, conveniently located townhouse near Million Dollar Beach, a short walk to Lake George Village with wonderful views of the lake and Prospect Mountain. Great for families sleeping up to 8-10 people, with all the comforts and conveniences of home, a fully equipped kitchen, washer and dryer, with some added luxuries, large plasma TV over gas fireplace, flat screen TVs throughout the house, wireless internet, Weber gas grill on the deck, and a jetted tub in the master bath. The home has an open floor plan on the first floor so everyone can gather together, there's a large dining table that seats 10, but there's enough space in this tri-level, centrally air-conditioned home so that everyone can have their space to, with 4 bedrooms, each with a queen mattress and another one in the living room area and 3 and 1/2 baths. Garage parking. See fireworks every Thursday in the summer from the deck. Great house for extended or large family or friends. Clean, charming home with comfy furniture, warm blankets and luxurious towels! Nice amenities like tissues, coffee and tea. Huge dining table perfect for family meals or board games. Greatly enjoyed our stay. Beautiful, comfortable and great location. Close to everything and yet private and quiet. My family and I enjoyed our stay and we recommend this property . Great owners and helpful property manger made our family reunion a very pleasant experience. This was our second stay at this property and we enjoyed our stay once again. The house is stocked with everything you need and more. Very convenient location. Walkable to lake and close to village. Would definitely stay here again. Spacious, clean, very well stocked and close to lake and village! We thoroughly enjoyed our week at this location! 6 adults and 5 kids stayed with plenty of space. The home is well stocked with everything you could possibly need! Very clean and well maintained! A couple of the beds could use new mattresses as they were less comfortable than what we have at home, but can’t complain too much because everything else was great! We were able to walk to the lake and take a very short drive to Lake George Village. I would highly recommend! Property was very clean and fully stocked. Great for families with young children. Location of the property was ideal! It was quiet yet close to everything. We had a great first visit to Lake George! Within minutes walk of the house is Million Dollar Beach, Lake George Village, Fireworks-view from house, Usher Park (playground, tennis and basketball court), dining at popular restaurants East Cove, George's and Garrison's, boat cruises on the Minnie Haha (Lake George Steamboat Company), parasailing, horse carriage rides, Fort William Henry, trolley, and Hall's Marina. Also close by Great Escape/Six Flags, Top of the World golf course, great outlet shopping and just a little bit further Gore and West Mountain and Saratoga Springs raceway. $200.00 Cleaning fee (towels and linens included), $500.00 Refundable Security Deposit 50% rental deposit is due to reserve dates with remainder due thirty (30) days upon arrival. Discount rate for returning guests. $100 discount on weekly rate.